I don’t normally like to write about wrestling stories like this, however, I don’t think anyone has heard one quite like this. Dave Meltzer of the Wrestling Observer reported that eleven days ago, there was an incident at a bar in Nashville where wrestlers from both WWE and Global Force Wrestling (Formerly TNA) were there to watch Jeff Hardy’s band perform. Reportedly, Karen Jarrett (GFW) approached Braun Strowman (WWE) and asked if she could get an autograph for her son. Strowman, not knowing who she was, vulgarly denied her request. Voices of Wrestling reported that Strowman’s alleged response was “F— your son.” Karen tore into him and said that she was going to tell her son’s father, who is Kurt Angle. Sounds crazy, right? Well, it gets better. Strowman became extremely apologetic when learned the boy’s parentage. The 6 ft. 8 in., 385 lb. goliath was so scared that he got on his knees and begged her not to tell Kurt what happened while offering to sign the autograph. Karen scolded him some more stating that he should be respectful no matter who is asking for an autograph and that she was telling Kurt. Karen is the ex-wife of Kurt Angle, with whom she has two children with. Karen is now married to long time wrestler, Jeff Jarrett, who co-founded TNA/GFW and currently runs the company. Kurt Angle’s résumé is self-explanatory. Olympic gold medalist in free style wrestling, one of the greatest pro wrestlers of all-time, certified badass and has a plethora of respect within the industry. Add all of that to the backstage political snake pit in WWE, and the possibility of an unfavorable outcome for Strowman is high. Strowman could have heat with Angle for inadvertently insulting his son, which in turn could make him somewhat of a pariah within the locker room. Strowman could also have heat with the front office, i.e. Vince McMahon and Triple H. Not for the insult though, but for getting on his knees and apologizing, in public, which according to old school promoter logic, would ruin the “Monster Among Men” character they’ve been building on TV. There are some conflicting reports of what actually happened that night in Nashville. Mike Johnson of PW Insider contradicts Dave Meltzer’s report of the incident stating that “It was a drunken conversation between two drunk people in a bar that got loud, nothing more.” Meltzer commented on the rebuttal and is firmly sticking to his story. Voices of Wrestling’s account of the incident is in line with what Meltzer originally reported. I believe that there is some truth and some fiction here. I have nothing to base this on except my own experiences on the independent wrestling scene. Behind the scene dealings in wrestling can make for a very petty atmosphere. If I was a wrestler like Braun Strowman, who is new to the business, in the midst of a big push and just starting to experience stardom, I’d be scared out of mind if I had insulted Kurt Angle’s son. While I would like to think that I wouldn’t have been brought to my knees, wrestlers have lost their starring role on television for less. Also, having heat with management makes the job of a pro wrestler a lot more difficult. Performance elements in the ring and on the microphone that were once applauded quickly can become persona non grata without notice. You get yelled at for things that you once had permission to do and punished for things that you didn’t even know were taboo. On top of all the drama, a demotion from the main event scene to the mid-card or lower would mean less money going into my bank account. The higher you are on the card; the more money you make. Drunk people in a bar can either be really good or really bad, depending on the situation. No matter how you slice it, this story is bat s—crazy and sounds like something derived from the National Inquirer. Then again, this is professional wrestling where crazy can be the norm. 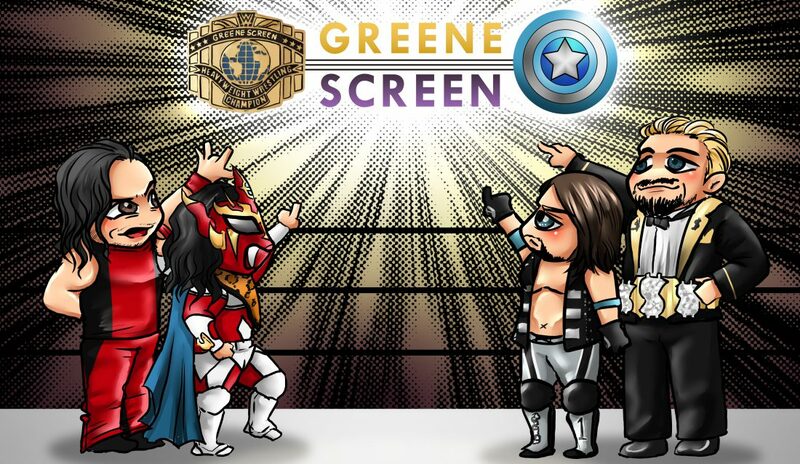 ‹ Is Tonight’s Cena vs. Nakamura Match a Mistake?